Launch Tech Co., Ltd, founded in 1992, is an experienced company in automotive aftermarket. Quality, Efficiency, Profession and User-friendliness have been guiding us to make better products. 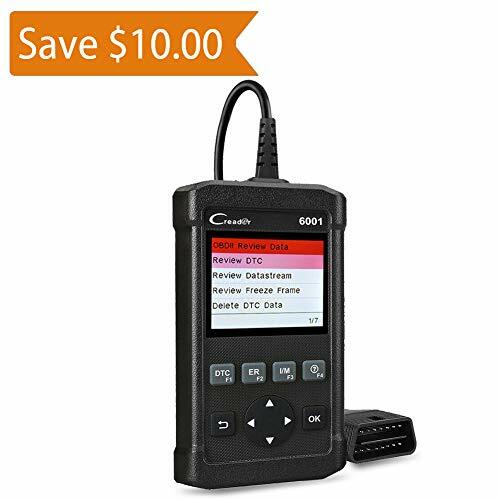 LAUNCH CReader 6001 provides you full OBDII/EOBD diagnostic functions and meets protocols such as ISO9141-2, ISO14230-4, SAEJ1850, and ISO15765-4. It features a 2.8-inch color display, graphical data streams, USB interface internet update as well as recording and replaying data. More Details: The color and graphical display make vehicle data displayed in a clear, constant and timely manner. Free update via internet and one year warranty ensure that you enjoy our best service.